Here’s hoping you had a great Thanksgiving and found plenty to be thankful for. I certainly did and do. Recently, I ran across an article on the Japanese philosophy of ikigai which basically means finding your bliss, or reason for being, until death do you part. For many, this is a lifelong search. For me it was as close as the nearest door. Even before I became a gardener, it was very apparent that all things in nature were what both inspired and soothed my soul. 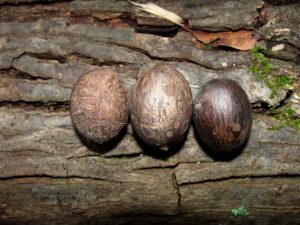 My family certainly knew this as well and that’s why I was always sent to the woods on Thanksgiving day to gather natural decorations for my Grandmother Emanis’ little claw foot coffee table. Yes, I know that being an impish, ADD, chatter box was the real reason they sent me, but for me it was like a bee being banished to a field of flowers. The place I always headed to for my source of botanical display was a 10-acre mixed hardwood forest behind my grandparents’ old barn. To this day, I don’t recall anyone telling me that my grandparent’s didn’t own the forest! Surely if busted for nature lurking, I wouldn’t have been sent to the Shelby County jail, at least not on Thanksgiving. I was too naïve to think about being mistaken for a runty deer or a feuding McCoy. The woods started on high ground near the barn with post oaks, hackberries, winged elms, shortleaf pines, and a plethora of other trees. 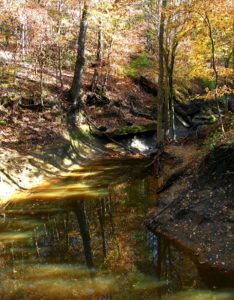 As the land sloped towards the creek and highway, the post oaks changed to Southern red oaks, water oaks, white oaks, Shumard oaks, mockernut hickories, loblolly pines, and hop hornbeams, with a healthy population of southern sugar maples throughout. Several steep ravines cut across the sloped woods with shagbark hickories, one of the coolest trees in the forest, at the bottom of the ravine. Finally the woods bottomed out at the steep banked creek with sycamores, swamp chestnut oaks, ashes, pignut hickories, and a plethora of pawpaws amongst a sea of native switch cane bamboo. Making the woods even more intriguing were large vines of grapes, muscadines, and rattan draped from the trees. Although there was some talk of smoking the grapevines I do remember occasionally trying to get water out of their vines and even more so, cutting them to attempt to swing across creeks. 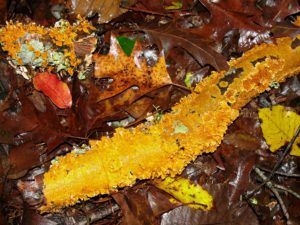 I would usually end up back at the house with a bag full of the prettiest colored leaves, along with pine cones, galls, lichens, bird feathers, petrified wood, turtle shells, etc. Basically I tried to recreate the forest floor on the coffee table. I have no recollection of anybody else being interested in my display, but I sure looked forward to it. My piece de resistance was often a turkey made from a pine cone with a showy piece of bracket fungi for its fan tail. Finding miscellaneous bones was a particular treat but I don’t recall those ever been allowed in the old house! Those gnawed by rodents were the coolest. 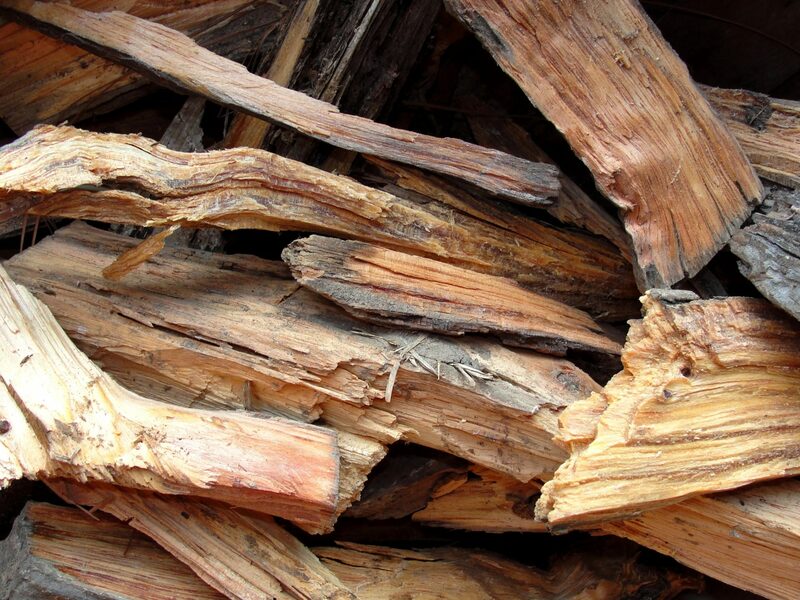 I was also always on the lookout for rich lighter pine which my Pappaw would split and splinter as kindling for starting fires in the fireplace and wood heater. This resinous heartwood from old dead pines was precious and I was proud that I was given the job of locating it. The best stuff was dense with a red-orange color on the inside and a strong smell of turpentine which is manufactured from it. The pleasant smelling, highly flammable splinters were rationed and we were warned not to burn any more than needed when starting a fire. 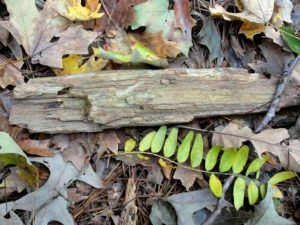 I was later able to purchase the woods and thanks to many a soothing, healing walk through the forest, found many more treasures that I didn’t previously know existed. Thanks to the hardwoods, leaf litter, and occasional torrential, deep soaking rains, the forest is home to periodic fleeting populations of highly edible golden chanterelle mushrooms. There’s also a stand of granite gooseberry, a genus more associated with the northern and western U.S. 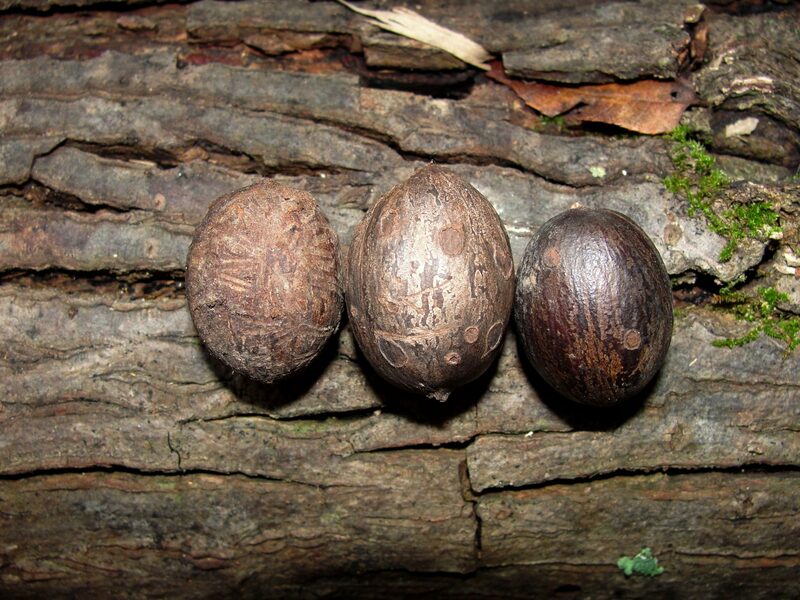 There are also several nutmeg hickory trees, which are common nowhere in the country and apparently some remnant from an ancient botanical distribution. I also eventually stumbled across a scattering of ephemeral crane fly orchids with their puckered green foliage, purple backsides, and spikes of tiny summer flowers. One of my favorite finds of all was a healthy population of bloody butcher trilliums, a species more at home in Michigan and the Midwest. It’s a magical time during March when the burgundy flowered trilliums are blooming along with mayapples, cutleaf toothwort, and wood violets, all scattered amid canebreaks of our native bamboo. I love this! He’s my kind of people! Thanks for this piece. Beautifully done. When I was very young, roaming around in the woods was one of my greatest pleasures. How I long to have a place such as this again. Your description is heaven on earth. Thanks for caring about our earth, environment, and teaching us about its importance and beauty.